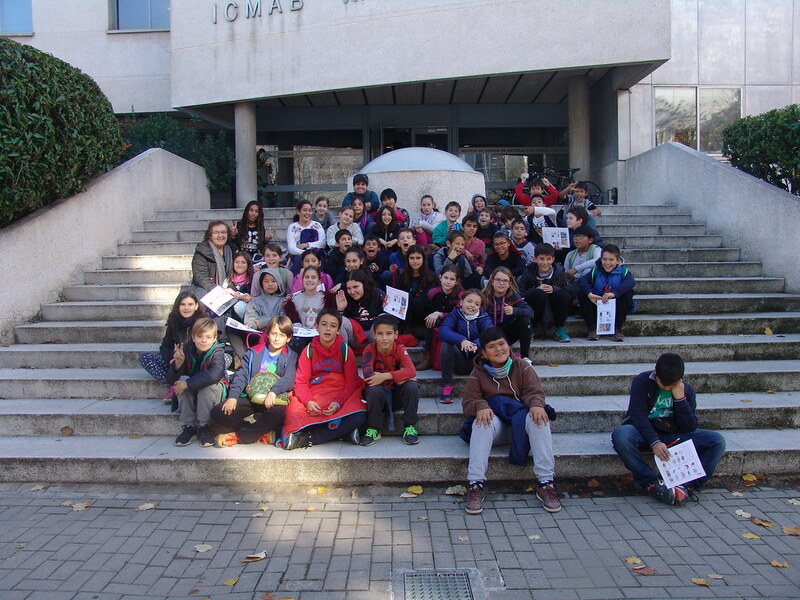 Two sessions on November 24, with the primary school "Escola Bogatell de Barcelona", and two more on December 1, with the "Escola Margarida Xirgu" in Badalona, have filled up ICMAB with junior materials detectives for two whole mornings. The activity is prepared by some of the ICMAB Scientific Services technicians: Judith Oró and Ana Esther Carrillo from the Electron Microscopy Service, Andrés Gómez from the Scanning Probe Microscopy (SPM) Lab, and Anna Crespi from the X-ray Diffraction (XRD) lab. 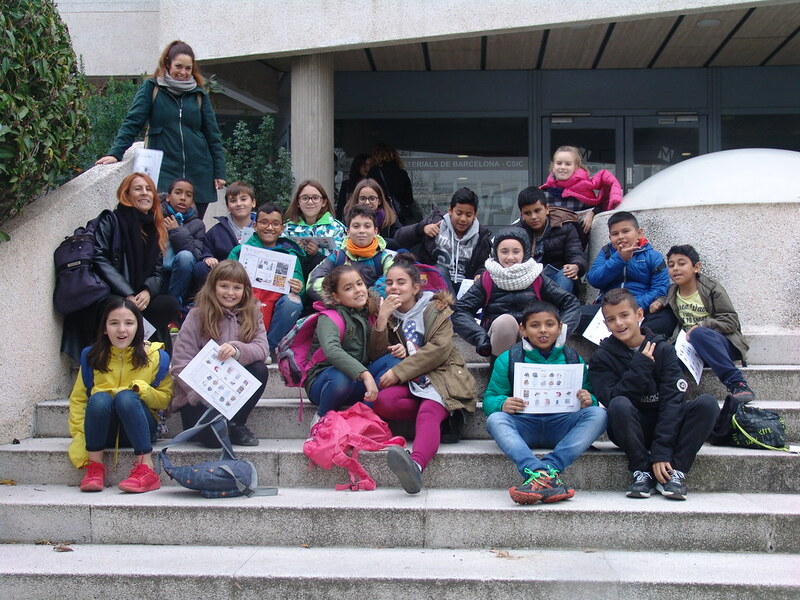 After a first introductory talk on nanotechnology by Judith Oró, the kids are guided through the different Scientific Services by Ana Esther Carrillo, Andrés Gómez and Anna Crespi, and can learn and see how the equipments are used to characterize the materials at our Institute. M'ho he passat molt bé! M'ha agradat molt! Thank you to the teachers for brining their students to us, and thank you to all the ICMAB staff who has helped in making this possible!